WASHINGTON (Reuters) – Janet Yellen is guiding the Federal Reserve towards its first rate rise in a decade armed with traditional economic models that some economists worry could fail her in a world of massive money printing and near zero rates. The 69-year-old economist argues the time is coming for a rate-lift-off even though inflation has yet to accelerate, trusting decades of studies that suggest a tight labour market eventually creates inflationary pressures. It is a risky wager considering that global inflation is at historic lows and many central banks remain in an easing mode as their economies struggle to get any traction. If she is right, Yellen, who has already presided over the end of the Fed’s bond-buying stimulus programme, will cement her reputation and that of her “dashboard” that relies on long-established relationships between jobs, wages and prices. If she is wrong, the Fed could join the European Central Bank and the central banks of Sweden, Israel and Canada, which have all tried, but failed, to escape the drag of zero rates in the wake of the 2007-09 financial crisis. There are reasons to doubt conventional economic theory. Many economists predicted a spiral of falling prices when the U.S. jobless rate soared during the crisis and then thought inflation would rise when unemployment plunged. Neither happened, though Yellen has maintained this year that the Fed was on course for rate increases, which would be “data dependent,” likely gradual, and with no pre-set path. This shows Yellen “is grounded in traditional modelling but she is well aware that there is uncertainty,” said Randall Kroszner, who served with Yellen as a Fed governor between 2006 and 2009. “It is possible, though unlikely, the traditional models are just all wrong (and) we’re in a whole new world. But she’s not going to fly by the seat of her pants,” Kroszner said. 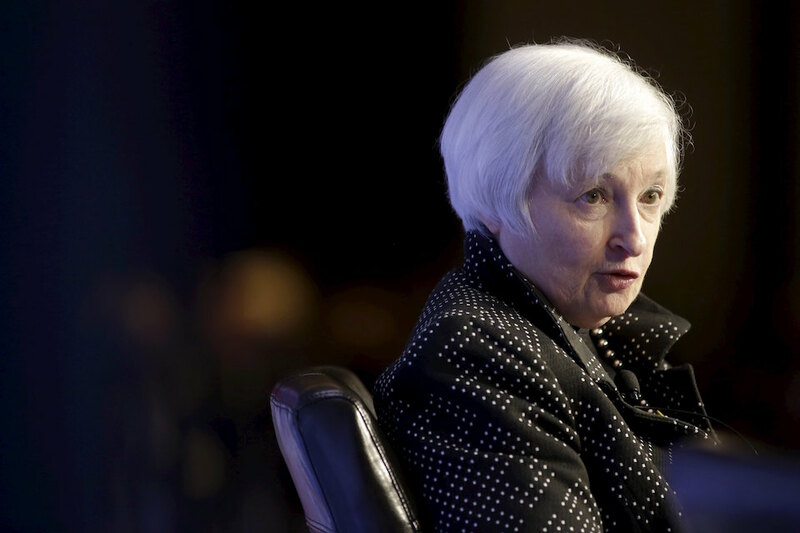 Yellen has made clear that models only serve as guideposts in a complicated decision-making process. Reader-Supported Facts and Opinions survives on an honour system. Try one story at no charge; chip in at least $.27 apiece for more. If you value no-spam, no-ads, non-partisan, evidence-based, independent journalism, help us continue. Details. Interviews with the Fed chief’s former colleagues paint a picture of Yellen as a pragmatic economist who is ready to adjust course when necessary, but one who relies on data and economic theory rather than guesswork or hunches. That could mean sometimes missing signals that are either too new or too hard to measure for traditional models and yet possibly relevant for policy. Fed transcripts show that at a Fed policy meeting in September 1996, Yellen, then a Fed board member, said she was “quite willing” to support an increase in rates because her analysis suggested inflation was poised to rise. However, Alan Greenspan, the Fed’s chairman at the time, convinced policymakers to hold fire at that meeting arguing that he saw changes in the economy that were holding back prices and it later turned out that inflation indeed stayed low. “It was intuition more than anything else,” said Alice Rivlin, fellow board member at the time, referring to Greenspan’s hunch that U.S. productivity was rising. A wrong call on inflation now could stunt job growth and possibly keep rates stuck near zero or even force the Fed to reverse course and cut rates. “If they don’t see any pickup in costs or prices, that would cause them to be even more gradual than they think they are going to be,” said Donald Kohn, who served on the Fed’s board when Yellen headed the San Francisco Fed between 2004 and 2010. Fed policymakers saw higher inflation around the corner in 2013 and 2014 that did not materialize. Yellen has argued this year that temporary factors such as low oil prices and a strong dollar will fade while a tight labour market sparks price pressures. “It’s straightforward analysis but the issue is they have been saying this for years, so they are not hitting something right in their story,” said Timothy Duy, an economist at the University of Oregon. Hiking rates too early could make it more likely the U.S. economy tips into recession, he said. The Fed’s preferred inflation measure stripped of food and energy prices is now at 1.3 percent and its policymakers on average see the gauge accelerating next year but not quite hitting their 2 percent target. Jon Faust, a former special adviser to the Fed board whose inflation forecasting research has been cited by Yellen, says he doubts any policymakers have a firm view how to get inflation back to target and keep it there even if they agree that a tightening job market will help. With the jobless rate at 5 percent, half its 2009 level, Yellen was confident enough to warn lawmakers on Dec. 3 that inflation could rise “significantly” above the Fed’s 2 percent target if rate-setters aren’t ahead of the curve. However, some policymakers, including Fed Governor Lael Brainard, argue that the relationship between unemployment and inflation is not as straightforward as it used to be and that global economic weakness could knock the United States off course. Many analysts expect Brainard, who has emerged as the leader of the Fed’s cautious faction, will accept a first hike without dissenting, but could need more convincing for subsequent rate rises. On the other side of the policy debate is Charles Plosser, who led the Philadelphia Fed from 2006 until March 2015. Plosser would have preferred to raise rates “a year ago” but was glad that the Fed chief facilitated the debate over liftoff. Facts and Opinions is a boutique journal, of reporting and analysis in words and images, without borders. Independent, non-partisan and employee-owned, F&O is funded by you, our readers. We are ad-free and spam-free, and we do not solicit donations from partisan organizations. Please visit our Subscribe page to chip in at least .27 for one story or $1 for a day site pass. Please tell others about us, and follow us on Facebook awnd Twitter.